Jack Ezra Keats’s 1962 book The Snowy Day featured an African-American protagonist, a first for a full-color children’s book. 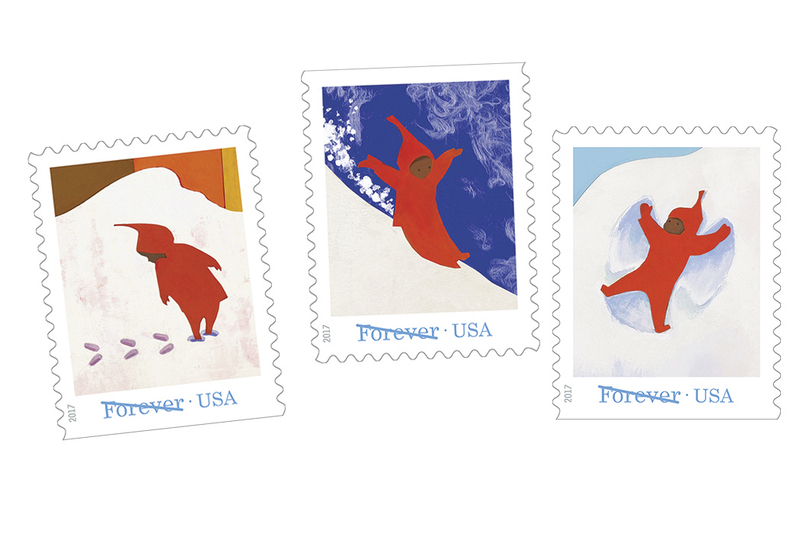 USPS Forever stamps featuring illustrations from Ezra Jack Keats' book Snowy Day. Every once in a while, the USPS makes lit fans cheer with a series of stamps that commemorates great fiction—like when they announced the release of four winter-friendly stamps featuring Peter, the protagonist of Ezra Jack Keats’ Caldecott Medal-winning book, The Snowy Day. The 1962 book wasn’t just another sweet children’s story: It also featured an African-American protagonist, a first for a full-color children’s book. In 1969, Keats sat down with Florence B. Freedman to talk about his career. Freedman was uniquely qualified as an interviewer—she was Keats’s high school English teacher. And she recalled a sensitive, artistic boy whose family’s home was a haven for neighbors and anyone who needed some sympathy and comfort. The Snowy Day’s collage style was engaging, but even more extraordinary was the fact that it focused on a black child. Though Freedman remembers Keats’ home as welcoming, his experience was different. As a child, he was shamed by his father for his art. He told Freedman how his mother helped him hide his paintings from his father. Keats’s father told his son that artists starved; as a waiter in Greenwich Village he often saw eccentric artists down on their luck. But he also gave young Keats tubes of paint—which, he said, had been given to him by starving artists. Only later did Keats realize his father had bought them all along. Keats’ complicated relationship with his father turned tragic when his father died of a sudden heart attack, and he was asked to identify his father’s body at the morgue. As Keats looked at the wallet carried by his father, he realized it was full of newspaper clippings and other mementos of his own successes. As an adult, Keats worked as an illustrator, did a stint as a WPA muralist, worked in comic books, and became a U.S. Army illustrator during World War II. A random assignment changed his life when he was asked to create a children’s book cover. For the next several years, Keats illustrated other people’s books and became a respected figure in kid lit. In 1960, he co-authored his first children’s book, My Dog is Lost, which features a Puerto Rican child who has just arrived in the United States. The protagonist looks all over New York City for his lost dog in a bilingual book that pushed the boundaries of both acceptable main characters and the use of Spanish. 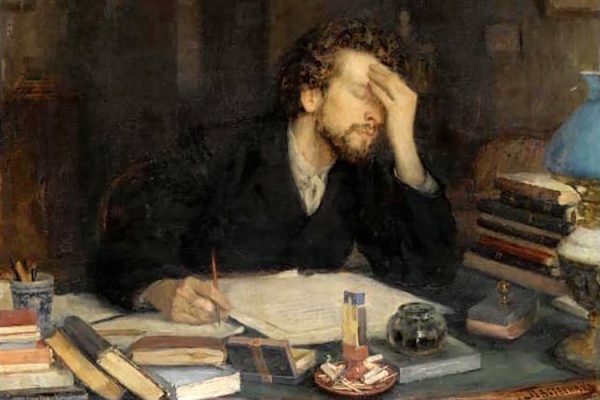 Great fiction-writing advice and commiseration from novelists that we dug out of the JSTOR vaults for you procrastinating, er, research pleasure.